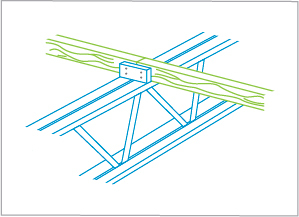 Miracle Truss® Buildings use a simple and strong clear-span web steel truss method. 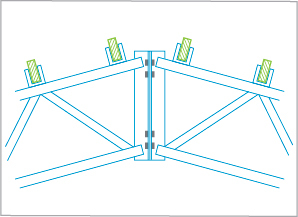 Our steel trusses come in 4 easy bolt-together pieces that are test assembled at the factory and are designed for the do-it-yourselfer. Once the 4 truss pieces are bolted together and tipped into the air the legs simply bolt to the top of a concrete pier through holes that are already drilled in the column baseplate. 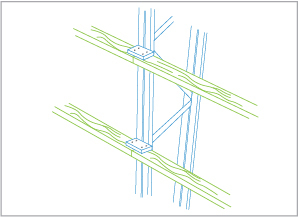 Running horizontally from truss to truss the building utilizes edge-mounted wood studs in the walls and in the roof that secure to a pre-positioned steel clip. These edge mounted studs provide an automatic 24” on center stud-pocket very similar to normal stick-built construction. Having wood studs every 2’ allows you the ability to finish off the inside, add doors or windows, insulate with normal batt-style insulation, and even make changes to the building at a later date. You can even install a different type of roofing or siding material on the building if you have specific visual or design criteria that you’d like to meet. STEEL FOR STRENGTH. WOOD FOR FLEXIBILITY. 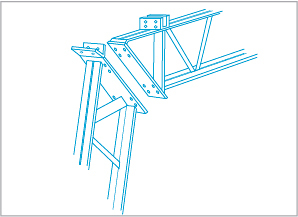 Steel trusses are strong and come in four easy to bolt together sections. Perfect for DIY individuals or simple, affordable labor. 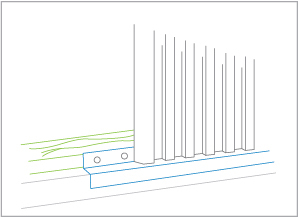 Steel columns simply bolt to a concrete pier to keep your building straight & strong. This also keeps wood posts out of the ground, preventing any rot. 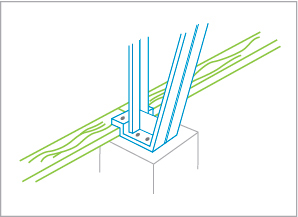 Side mounted purlins and side girts are edge mounted to provide strength and allow for your finishing touches. 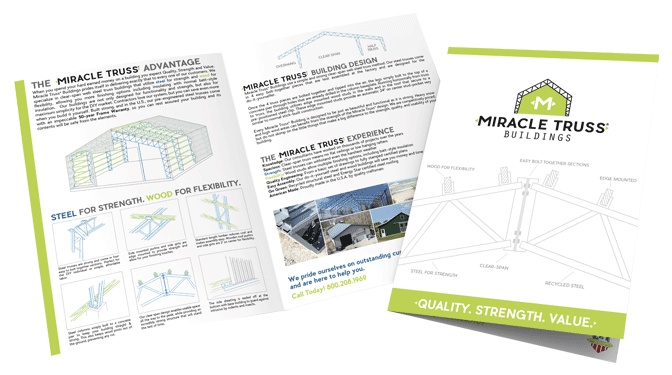 Our clear span design enables usable space all the way to the peak, while providing an incredibly strong structure that will stand the test of time. Standard length lumber reduces cost and makes assembly easy. Wooden roof purlins and side girts are 2′ on center for flexibility. The side sheeting is sealed off at the bottom with base molding to guard against intrusion by rodents and insects.